New Lad culture boomed in the 1990s with the publication of mens magazines such as loaded, FHM and Maxim. What were the commercial roots of this boom and what did it say about contemporary masculinity and the dynamics of cultural production? 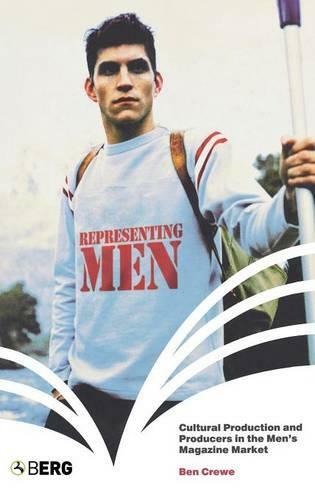 Applying a cultural-economic approach and drawing on interviews with key figures at the sectors leading products, Crewe unwraps the means through which publishing companies comprehended and addressed the mens magazine audience in the 1990s. He argues that it was informal knowledge about cultures of masculinity held by editorial practitioners that was decisive in constituting individual magazines and the overall character of the sector. In exploring the cultural resources, identifications and ambitions around which the market crystallized, Crewe provides an in-depth comparison of the editors and editorial identity of loaded, the pioneer of the mass market, with those of Esquire and Arena, magazines associated with the sectors initial reformation. Clear and comprehensive, this work sheds new light on the commercial assessment and representation of modern masculine culture.